Unlike other companies, we only do household moving! For you, that means more specialized services at a better rate. If you’re searching for Hayward movers you can truly rely on, you don’t have to look far! Upline Moving has been serving families and households throughout the local community for over a decade, with a convenient and fully staffed office location right here in Hayward. 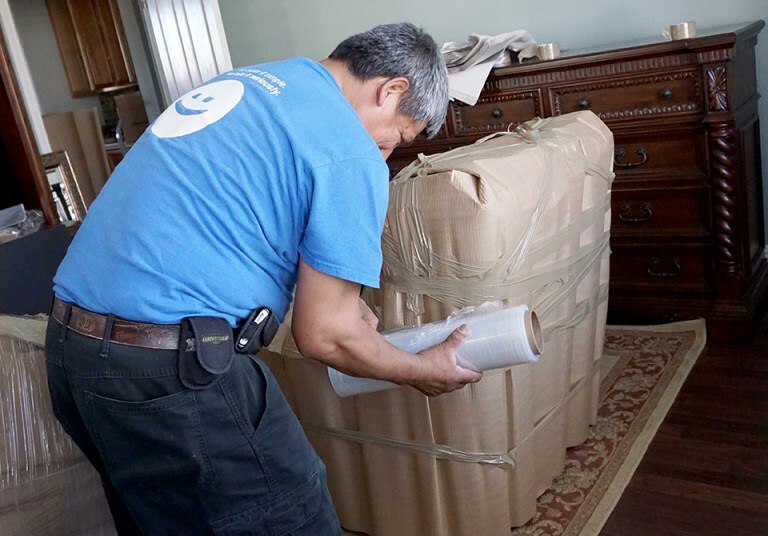 Unlike many other Hayward movers, we only offer household moving—giving us a uniquely specialized service approach that’s continuously refined to better serve you. Whether you’re moving within the Bay Area or across the country, we’ll make your family’s relocation experience as hassle-free as possible! As your preferred Hayward moving company, the professionals at Upline Moving take a far more caring and courteous approach to both local and long distance moves. We realize that we’re packing, loading, and moving everything you value most, and we’ll make sure to do so with the utmost attention to detail and respect for you. Over distances of 50 miles or 5,000 miles, we’re proud to employ a team of household movers Hayward CA residents can have complete confidence in! Is your moving date rapidly approaching? Even if other Hayward moving companies have turned down your project, it’s never too late for Upline Moving to help! When you call us with an urgent request, we’ll do everything in our power to fit your relocation into our busy schedule—without ever compromising on the outstanding quality for which we’re known. Whether you have a few days or a few months to prepare, you can’t beat the Hayward movers of Upline Moving. Call our family-owned company to find out more about our local and long distance moving services, or fill out our online form to request your free household moving quote today!